Ready for a Las Vegas Vacation? AND, Enjoy Personlized Service from a Las Vegas Vacation Expert at no added cost! Las Vegas is a true desert oasis built to provide the ultimate vacation experience. It is one of the premier party destinations in the world, but also delivers so much more than the typical traveler may realize. World-class live entertainment, historic landmarks, and an emerging art district are all prominent in this celebrated vacation hotspot. 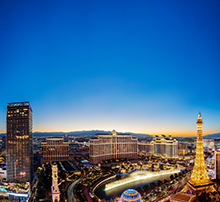 A Las Vegas vacation can be anything travelers want it to be with a plethora of subtle to over-the-top experiences. 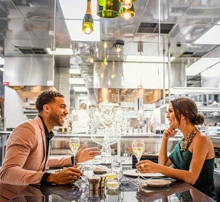 What traveler hasn't thought of staying in a luxurious suite overlooking the Strip, being pampered in a tranquil spa, reveling in the hottest nightclubs or dining at celebrity chef restaurants? a food tour and helicopter flight over the strip! It has a vibe different from the Strip, a vintage feel, and a smaller area to explore. 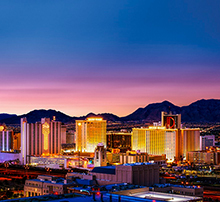 Downtown is where you'll find many of Las Vegas' first casinos and historic hotels as well as new and trendy attractions, and a revitalized arts district. Plus, Fremont Street Experience features free shows that are a ton of fun! experiencing neon signs of the past come to life! Las Vegas continues to attract legendary entertainers who bring state-of-the-art productions to the resorts as headlining residents. The Smith Center has a Broadway Las Vegas Series with shows that are currently on Broadway. Take in a show then indulge in world-renowned cuisine at one of many celebrity chef restaurants! a sightseeing pass for attractions, shows and transportation! 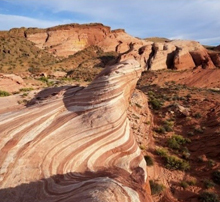 Take a day trip to explore the natural treasures outside of Las Vegas; zipline over the Mojave Desert at Bootleg Canyon just 20 minutes from the Strip or take in the Colorado River from the Lake Mead National Recreation Area. Las Vegas can be a central hub for exploring many national parks, including the Grand Canyon! riding camels through the desert!